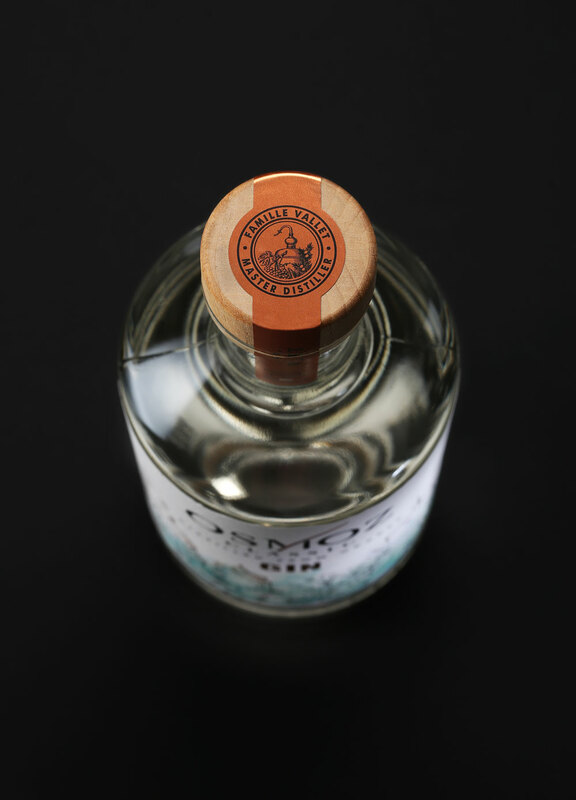 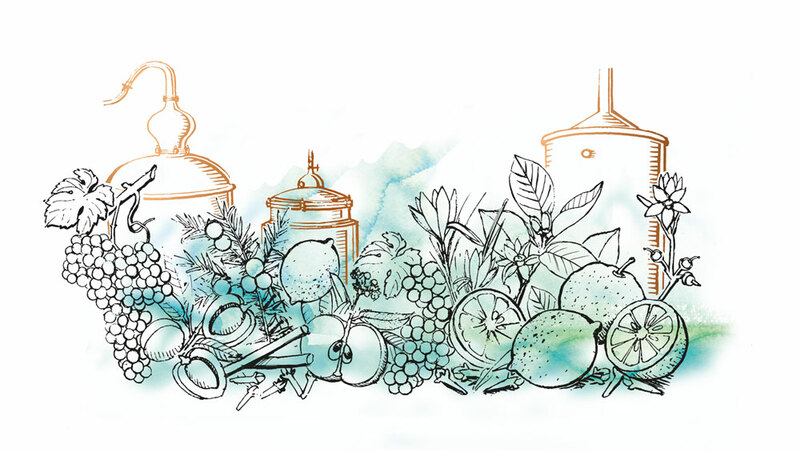 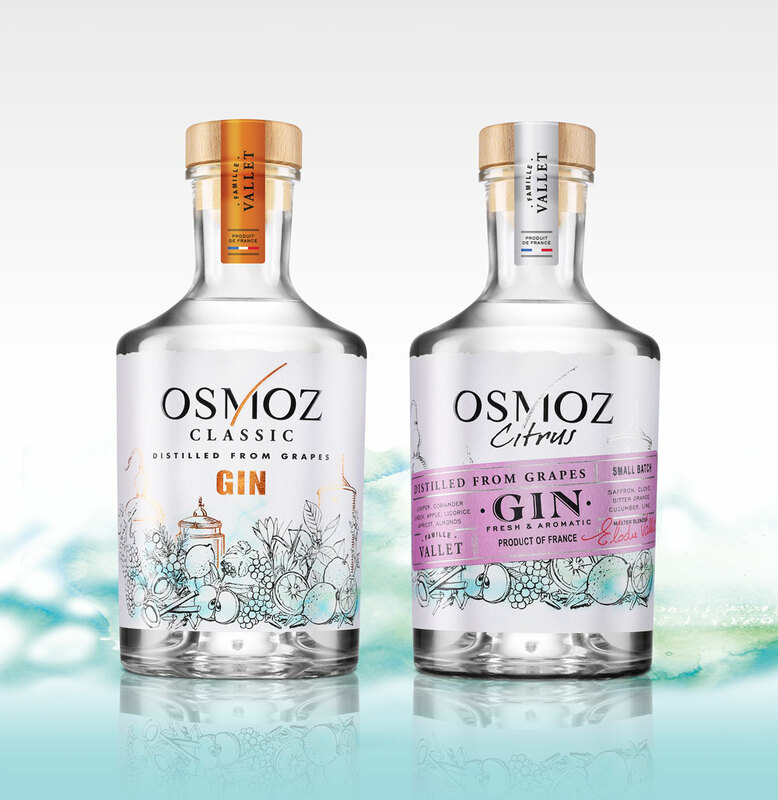 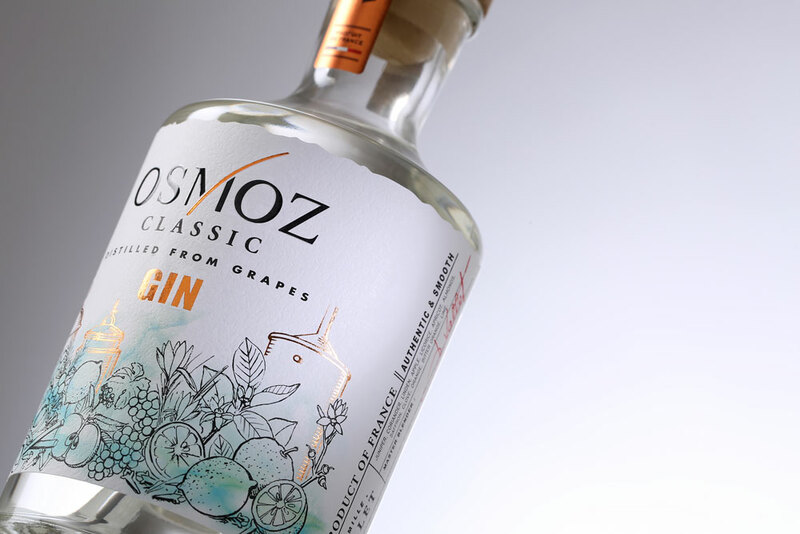 Two distilled gins from grapes... Two complimentary versions... Two incomparable interpretations... OSMOZ CLASSIC and OSMOZ CITRUS, both wish to achieve the perfect combination. 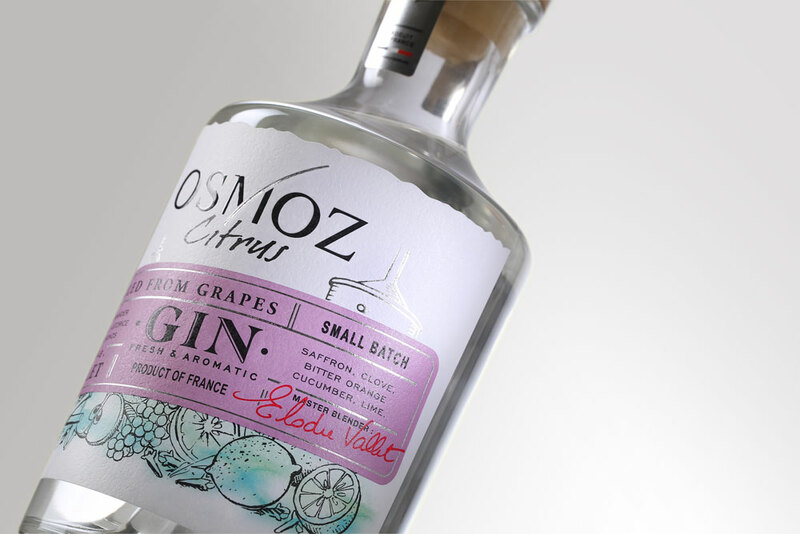 These two creations, designed by LINEA - the Packaging Design Agency from the Spirits Valley - reflect exactly the image of their two creators, Laurent and Elodie Vallet - both winegrowers and craftsmen. 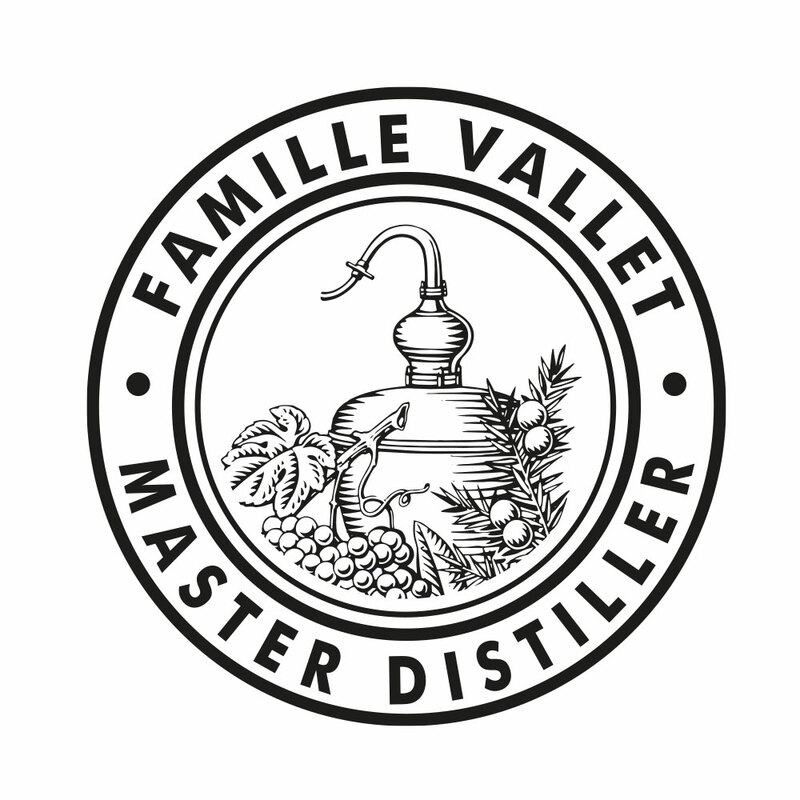 Combining modernity and tradition, the labelling and sealing are in perfect osmosis with the Cognac roots of the family. 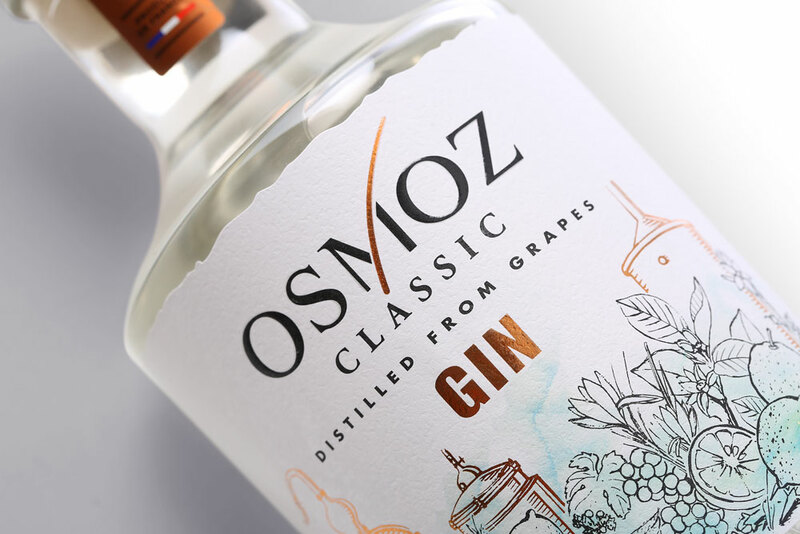 A touch of "handmade" is added through various features as a grainy paper material, a large illustration similar to watercolour sketches or a raw wood-capped stopper. 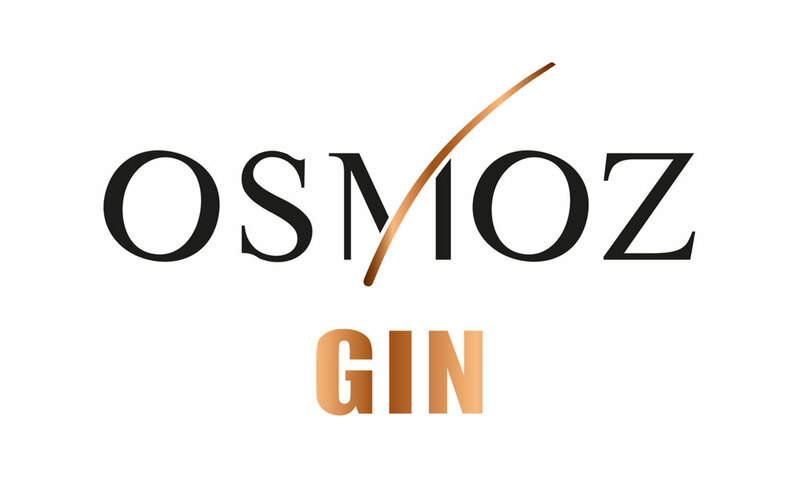 OSMOZ CLASSIC is meant to be masculine with coppery colours evoking a still and more generally distillation. 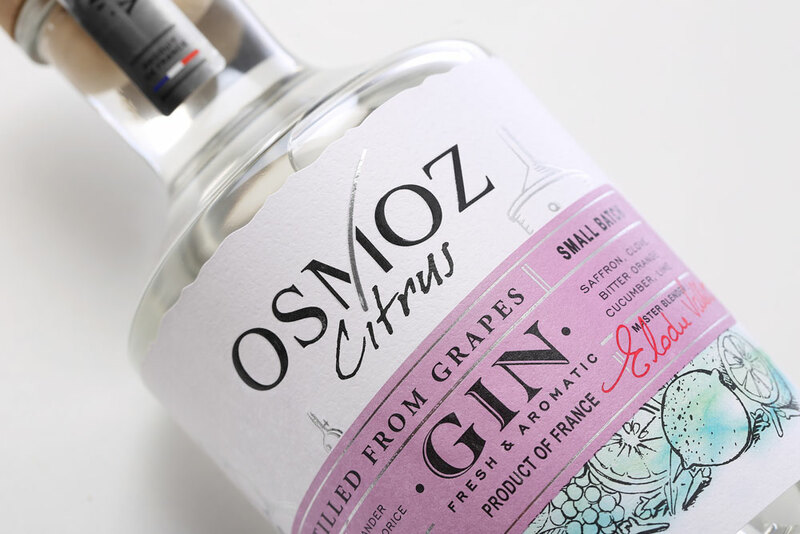 As for OSMOZ CITRUS, the bottle features a superimposed label to emphasize its part of femininity. 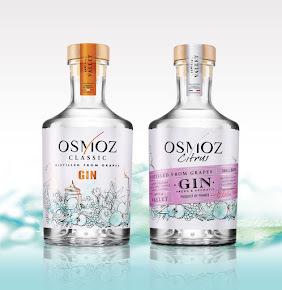 These two creations are fresh and modern and reflect an innovative and committed spirit.